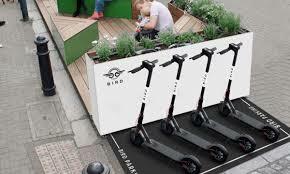 How would you rate your experience with Bird Ride Scooters ? Travis Vanderzanden founded Bird Ride Scooters, usually referred to as Bird or Bird Scooters, in 2017 in Venice, California. Vanderzanden says that he has been fascinated by transportation since he was a kid. His mother was a bus driver and he often went along with her on the route after school. He watched (and wondered) with fascination at how people managed to get to the bus stop or get home after getting off of the bus. Believing that bicycles are a thing of the past, Vanderzanden found that people were extremely interested in renting electric scooters, which provide a simple, economical, and green way to “catch a ride.” Scooters can be left virtually anywhere and picked up the same way. The company charges $5 for the rental, then charges by the minute. Vanderzanden solved the recharging problem by adding a section to the mobile app showing which scooters needed charging and where they were located. The company pay $4 per scooter for people to pick them up, take them home and recharge them. All scooters are picked up and put back in their original rental spaces after 9 PM when it’s illegal in most places to ride them due to a lack of lighting on the scooters. Vanderzanden says that more than 1 million people have taken rides on his scooters, which are now found in 7 metropolitan cities, including San Francisco and Washington, D.C. Many cities, however, are unhappy with the electric scooters, claiming that riders violate the laws and that scooters are dumped anywhere and everywhere, causing a nuisance. Vanderzanden says that the company tries to educate people on scooter laws and etiquette but the company itself is not to blame if people don’t obey the laws. Bird Ride currently has headquarters in Santa Monica, California, known as the “Beach Silicon Valley” since numerous startups have offices in this city on the ocean. Question 1: What is the phone number for Bird Ride Scooters? Answer 1: The phone number for Bird Ride Scooters is (866) 205-2442. Question 2: Who is the CEO of Bird Ride Scooters? Answer 2: The CEO of Bird Ride Scooters is Travis Vanderzanden. 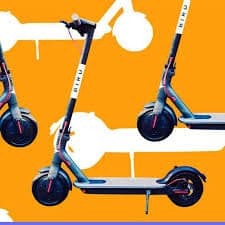 Question 3: Who founded Bird Ride Scooters? Answer 3: Bird Ride Scooters was founded by Travis Vanderzanden in 2017. I have been a charger for maybe a month or two and have received an email telling me I was in violation of moving uncaptured scooters and then today receive an email telling me my account has been deleted and I am no longer allowed to charge birds. I responded to both emails advising them that I have not moved any scooters or held scooters unless I have captured them to charge. I have seen several people in my complex holding scooters in their apartments until they reach a higher payout and I have reported it and advised of the scooters being moved and yet I’m the one getting in trouble and now unable to charge scooters when I have not done anything wrong. I go out and look for my scooters every night or the nights I am able to at least. I know the rules and have not broken any rules but am being accused of doing so and id like to know who I can speak to about this as I would like to get my account reinstated and continue charging as I was doing it the right way per your rules. Its very frustrating when I am doing what I am supposed to and there are so many people around me who are not and I lose my opportunity to charge when ive been doing the right thing. 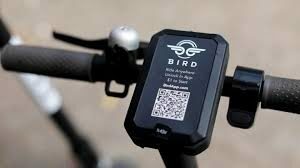 Want to make sure Bird Ride Scooters sees your comment or complaint?